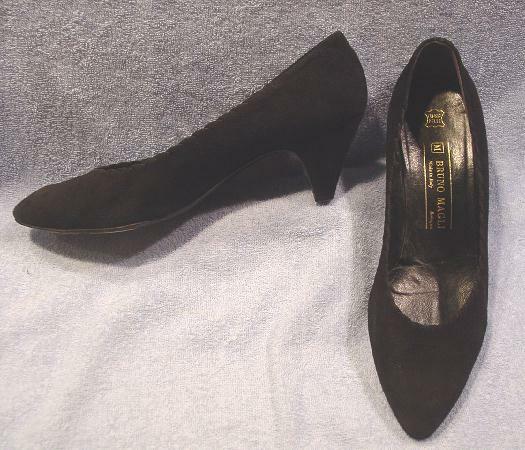 These black soft suede pumps were made in Italy by Bruno Magli. 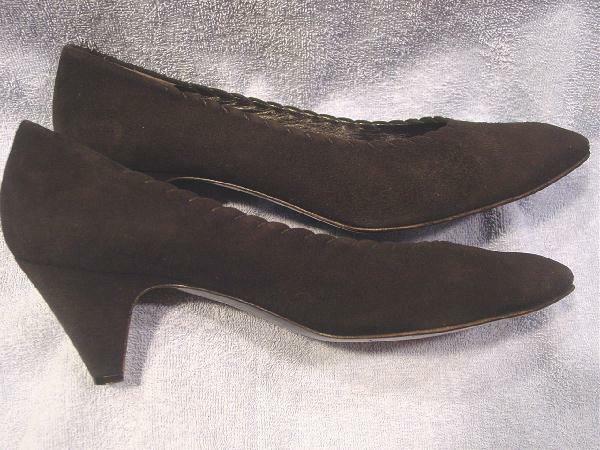 They have an angled stitching running along the front and sides giving the edging a scalloped effect. 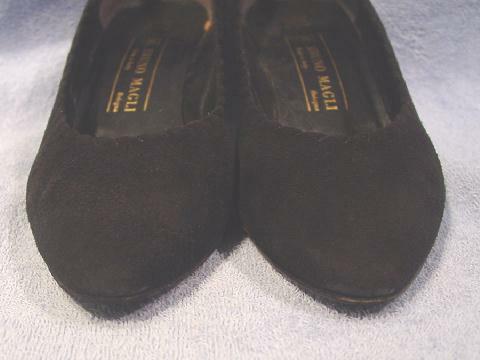 Both shoe toe tips (as they meet the soles) have scuff marks and tiny areas where the suede is missing. 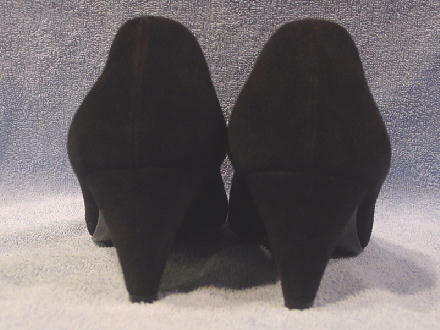 They have black leather insoles and linings.